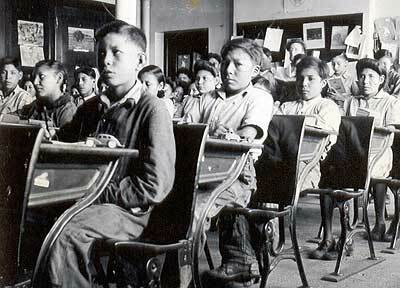 Native children in a residential school. 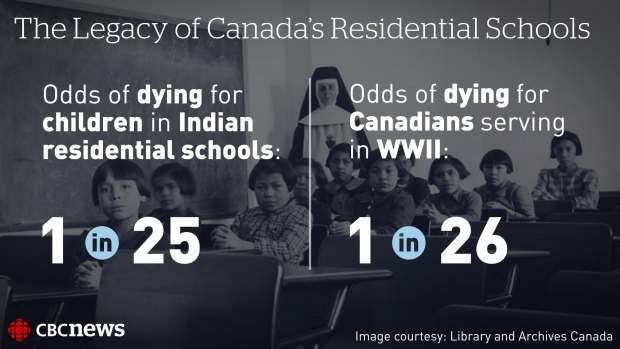 Aboriginal children attending residential schools died at a higher rate than school-aged children in the general population, and were often buried in unmarked graves, according to the final report from the Truth and Reconciliation Commission. Tens of thousands of records amassed during various stages of the settlement process with the survivors of Indian residential schools will be released to the public for the first time this week – shedding further light on a long and often brutal attempt by the government at forced assimilation. 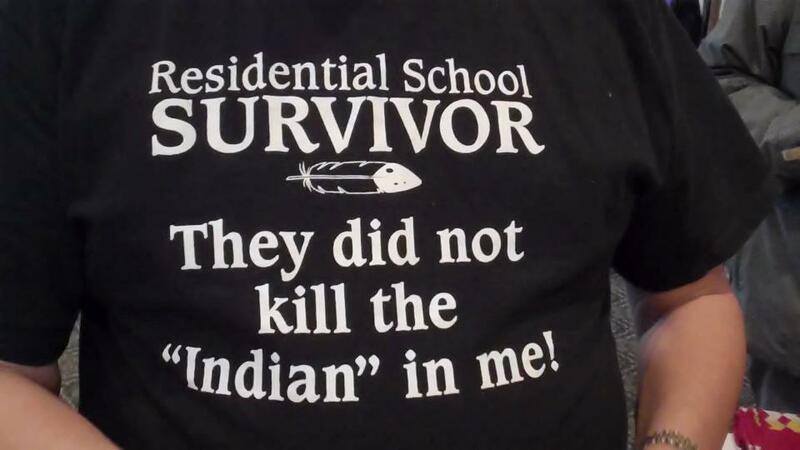 The Truth and Reconciliation Commission on Canada’s Indian residential schools uses the term cultural genocide for what happened to the 150,000 or so aboriginal children and their families while the schools operated. Native children in Residential School. 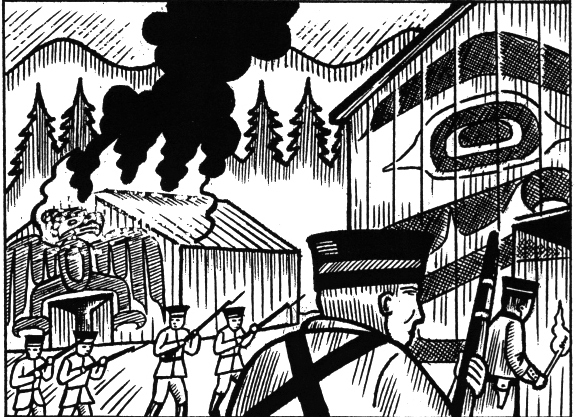 A report from the front lines of the search for “truth” in Truth and Reconciliation, and a look at the people trying to make history accessible to aboriginals and non-aboriginals alike. WINNIPEG—There are two sacred boxes in the offices of the Truth and Reconciliation Commission. One is a bentwood box sculpted from a single piece of cedar by an indigenous artist. Its panels are adorned with the mournful carved faces representing First Nations and Métis who suffered through the residential schools era, when government-sanctioned institutions systemically tried to eradicate indigenous culture, tore apart families and operated havens for child abuse. VANCOUVER — The death records of tens of thousands of First Nations children who died during the time residential schools were operating in Canada have been handed over to the Truth and Reconciliation Commission. VANCOUVER — Tears form in Barney Williams’ eyes and his hand rests over his heart when he speaks about how important a report on residential schools is for First Nations who grew up in the church-run schools.